Why is he wearing a monocle? “Because he’s a butler.” Oh. 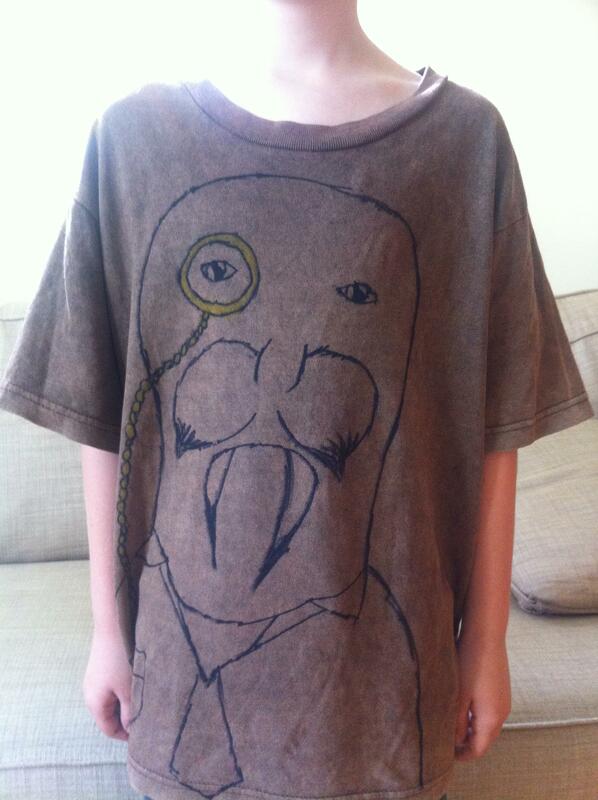 Just another example of why I’m lucky to be a dad, having a kid wearing home made walrus-monocle shirts. A monocle AND a tie?! Even better.